The lyric underscores the dramatic tone of Murphey’s return to his Texas-cowboy roots at a time when we are facing the rapid deterioration of our crowded world’s most precious resources: Land and Water. Murphey himself has been a long-time activist and outspoken supporter of caring for land and water. Murphey was inspired by the work of noted Zimbabwean Ecologist, Dr. Alan Savory, who was a consultant to his ranching partnership with Holistic Grazing pioneer Bert Madera of Jal, New Mexico. 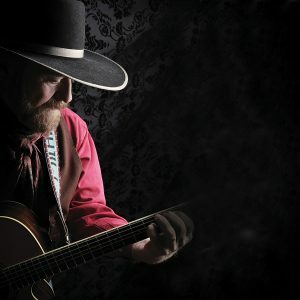 From the rollicking notes of the title track “High Stakes”, to the final notes of the lovely “The End of the Road,” Murphey celebrates the western lifestyle so well-dramatized by the passionate struggles of the grazing land cultures of the world who literally live and die by managing land and water. Murphey will officially unveil High Stakes: Cowboy Songs VII at Earth Day Texas, a 3-day celebration to be held at Fair Park in Dallas, Texas, beginning April 22. The event is free to the public.